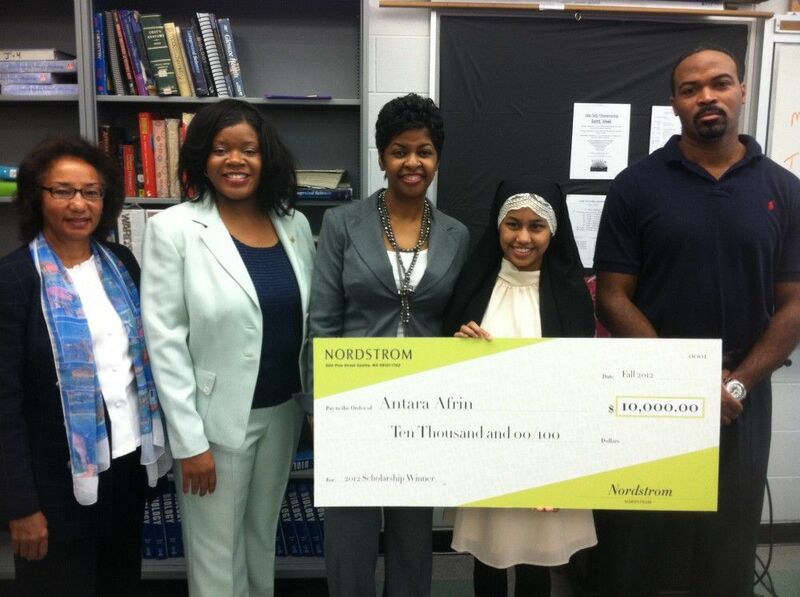 During class on Wednesday, September 26, 2012, Cass Technical High School senior Antara Afrin received a pleasant surprise. 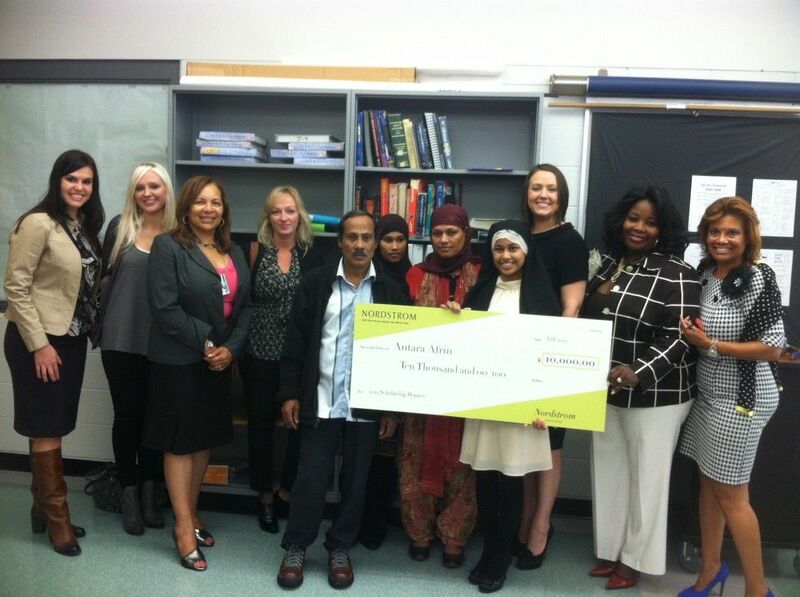 Nordstrom Scholarship Program coordinators—including Suzy Horman, Diversity Affairs Director-Midwest of the Illinois Nordstrom office, and Ellen Greene, Corporate Scholarship Program Manager based in Seattle, Washington—surprised Afrin in her classroom with a life-sized check in the amount of $10,000 and a new MacAir laptop. 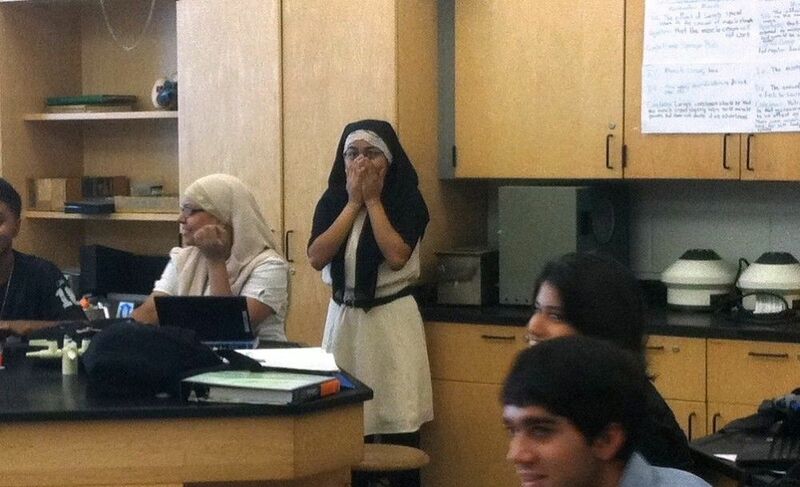 Click here to view a: Video Clip of the Surprise Visit! Afrin was selected from a pool of nearly 1,000 students from across the country to receive the Nordstrom Ten4U Scholarship. 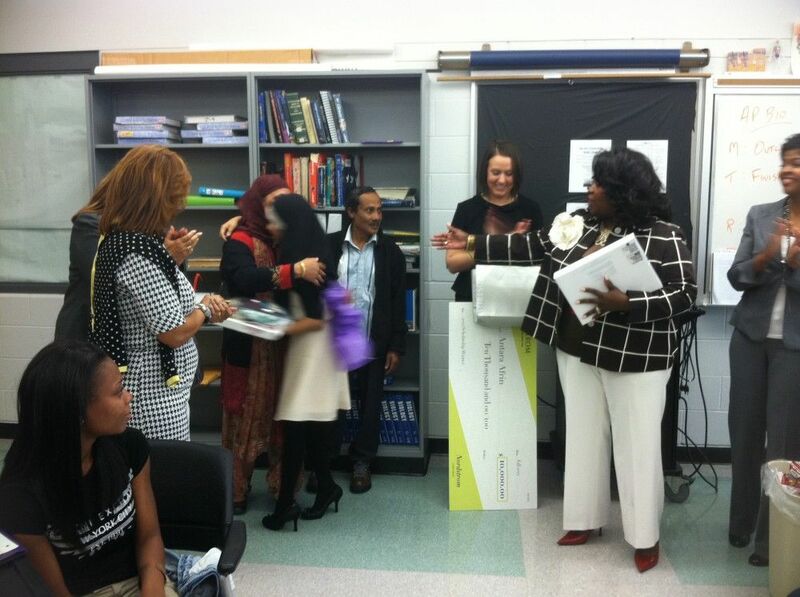 She was one of six students total selected for the $10,000 prize and one of three students in the state of Michigan. 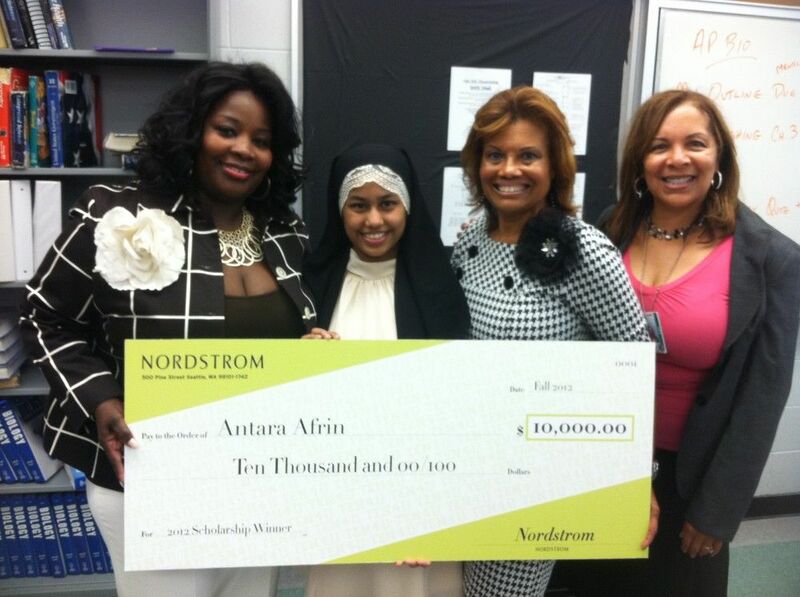 The scholarship award will be paid to Afrin’s college of choice in increments of $2,500 over a four-year period. She hopes to attend the University of Michigan-Ann Arbor next year to study psychology. 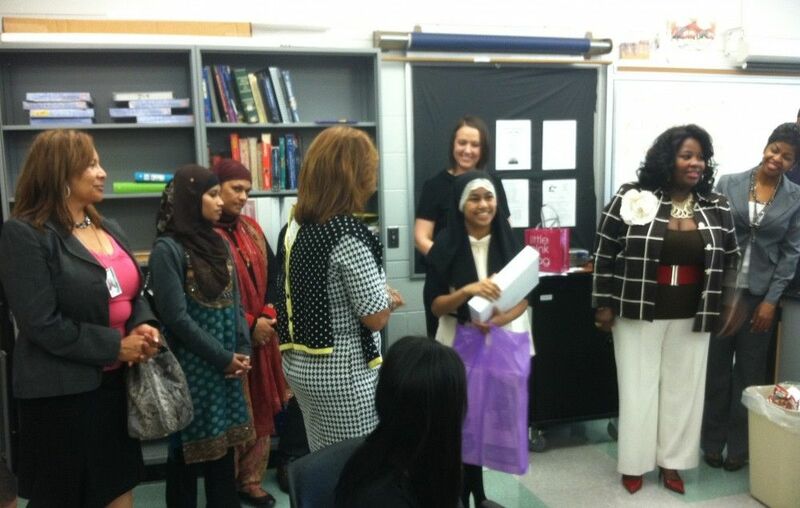 “This makes me feel like all of my hard work has really paid off,” Afrin said. 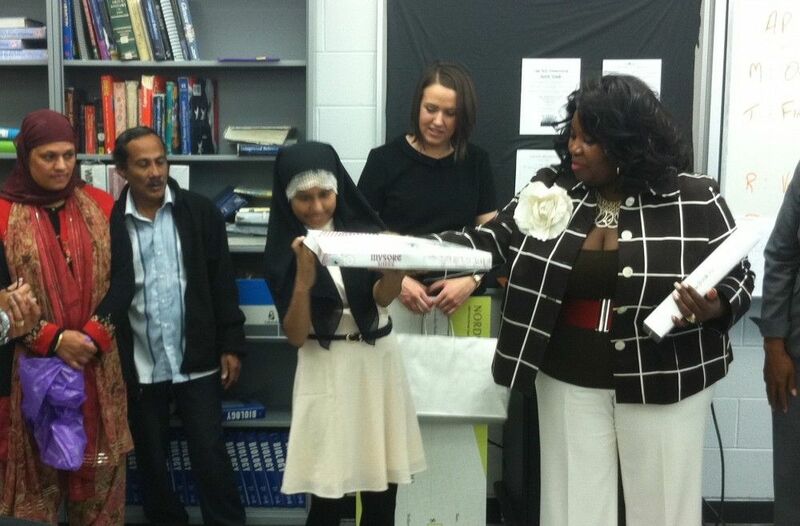 Afrin, 17, was raised in the city of Detroit since the age of 3. 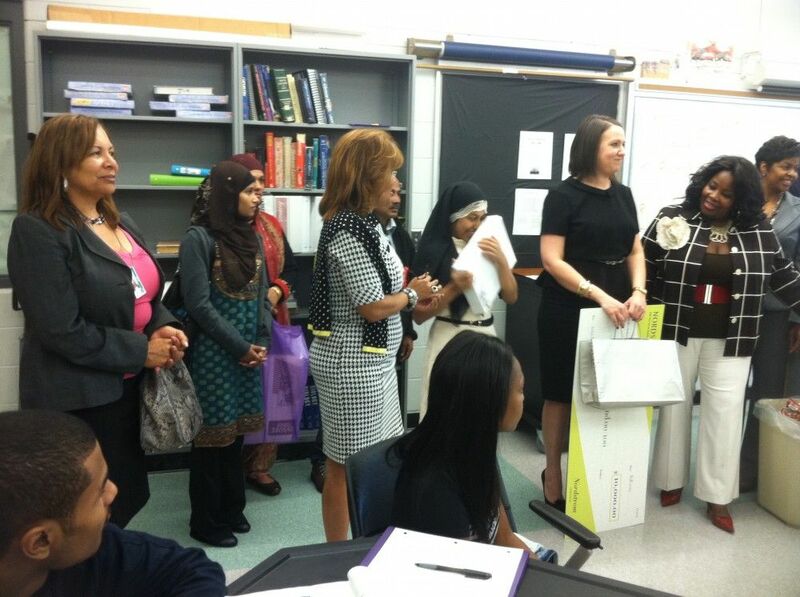 Her parents and siblings also attended the surprise presentation, as well as DPS staff members from the Office of Guidance and Counseling, Cass Tech counselors, Principal Lisa Phillips and Shirley Mobley-Woods, Chief of Staff of Academics. 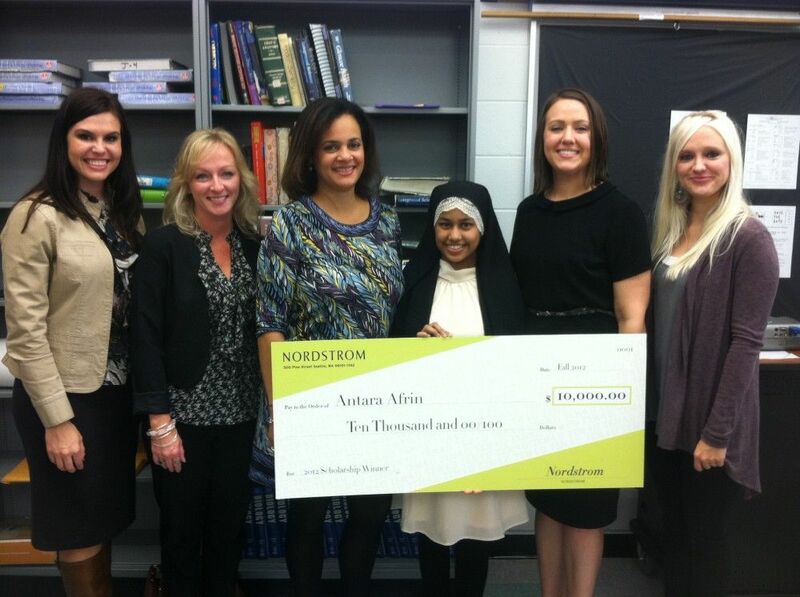 Click here to learn more about the Nordstrom Scholarship Program Scholarship Program.